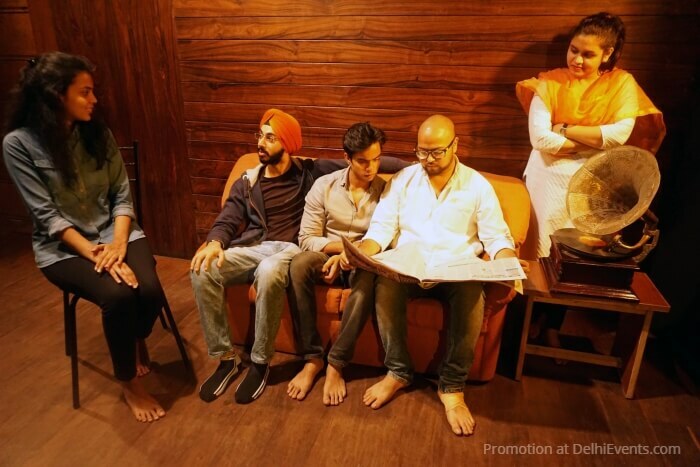 Event Description : THEATRE : Akshara Theatre presents Badal Sircar's "Baaki Itihaas" Hindi Play. A classic of modern Indian theatre, Badal Sircar’s Baaki Itihaas is a timeless story that forces the audience to introspect about the monotony and mundaneness of everyday life and question the existence of mankind and our shared history that exists beyond everyday life. It revolves around the fact that the history of mankind (baaki itihaas) is more profound than the history of any individual. It is this history, which shapes the future of mankind and shapes the present world we live in. In the play, Sharad and his wife Vaasanti are intrigued by the suicide of a chance acquaintance named Seetanath. They play their imagination and spin stories over the mysterious suicide, stories which emerge to be effective, believable, and plausible. But do they really reflect the truth?